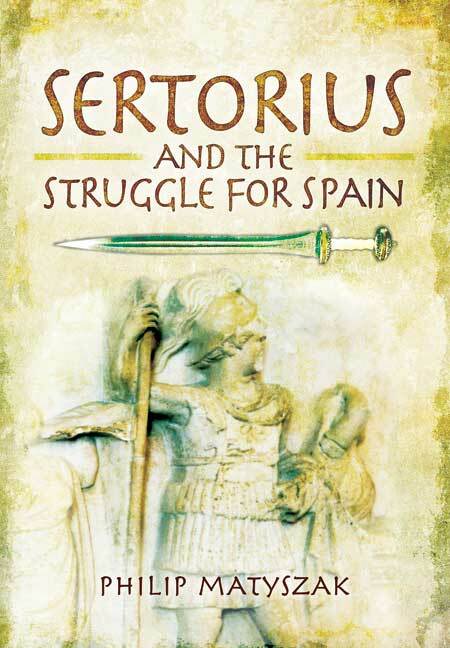 You'll be £4.99 closer to your next £10.00 credit when you purchase Sertorius and the Struggle for Spain. What's this? When, after a brutal civil war, the dictator Sulla took power in Rome (82 BC), among the many who refused to accept his rule was a young army officer called Quintus Sertorius. Sertorius fled, first to Africa and then to Spain, where he made common cause with the native people who had been savagely oppressed by a succession of corrupt Roman governors. Discovering a genius for guerilla warfare (he claimed he received divine guidance from Artemis via a white fawn he kept),Sertorius came close to driving the Romans out of Spain altogether.rnRome responded by sending reinforcements under the control of the up-and-coming young general Gnaeus Pompey (later Pompey the Great). The epic struggle which followed between these two great commanders is a masterclass of ancient strategy and tactical manoeuvre. Massively outnumbered, Sertorious remained undefeated on the battlefield, but was eventually assassinated by jealous subordinates, none of whom proved a match for Pompey. This proved the decisive end of the struggle for Spain, though recalcitrant tribes held out until the time of Augustus.rnThe tale of Sertorius is the story of a people struggling to liberate themselves from oppressive rule. It is also the story of Sertorius himself, who started as an idealist, and ended almost as savage and despotic as his enemies. But above all, it is the story of a duel between two great generals, fought between two different styles of army in the valleys of the Spanish interior. A fine scholarly achievement. It offers an excellent window for anyone studying the history of the Roman War in Iberia at the first half of the last century BC in general and to the Sertorian Revolt and its main protagonists in particular.